Plan to Upgrade to New iPhone 6S? Backup Old iPhone First! MacX MediaTrans is highly recommended to for iPhone data backup before switching to iPhone 6S. This iPhone manager backs up iPhone video/music/photo in case of data loss and enables media files exporting for enough space reserved for iPhone iOS 10 update. •	Any remarkable new design covers iPhone 6S? •	Will the new iPhone 6S be armed with iOS 9? •	How about the processor? 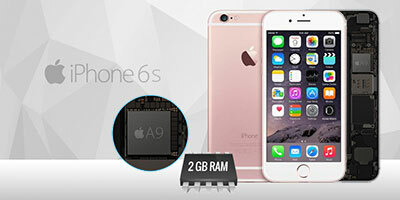 •	What are the iPhone 6S advantages and disadvantages? •	Does iPhone 6S’s new display bring better view experience? •	Any improvement with the camera? •	Did Apple improve battery life? After significant design changes with the iPhone 6 and 6 Plus, Apple this time focuses more on internal enhancements with the coming generation iPhone 6S. So this time iPhone 6s(6S Plus) stays substantially similar to iPhone 6(6 Plus). 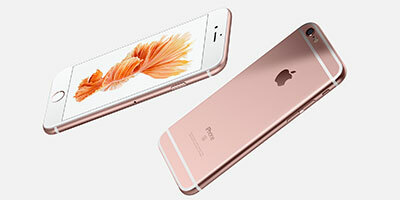 Yes, the latest iPhone 6S comes with the same size and resolution with iPhone 6 of the last year, but a new color named rose gold is added in the sereies, which will make it a welcome move for female customers. 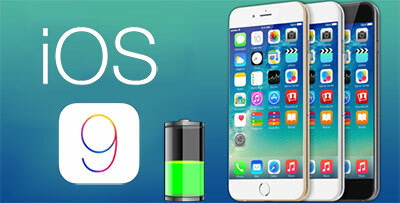 Apple unveiled iOS 9 better than iOS 8 at its Worldwide Developers Conference on June 8. And now this new iOS system also comes with the iPhone 6S release. And Apple says the operating system's new low-power mode could extend battery life by three hours on some devices. That’s an amazing improvement fixing complaints about iPhone 6 (Plus) battery life. However, the rated battery life of iPhone 6s doesn't get any obvious upgrade. While the design of the iPhone 6S remains the same, then Apple provides upgrades in the form of new hardware. The iPhone 6S will come with Apple's third-generation 64-bit chip A9, a 'killer feature' as reports while will provide 90% faster experience than iPhone 6 in movie streaming or gaming etc. While the new iPhone 6S is in the same size and resolution as iPhone 6, i.e. 4.7-inches and 1,334x750 pixels (326ppi), along with a larger 5.5-inch device named iPhone 6S Plus, it also gets an breakthrough in display with a new technology named 3D Touch. This new feature senses pressure levels to enables users to navigate new gestures such as Peek and Pop. Also note that except iPhone 6S, Galaxy S6, iPhone 7 and iPhone 6 (Plus) are in similar mode as well. The 3D Touch, an upgraded version of Force Touch found in Apple Watch, by ading pressure sensitivity to the interactive refelction, provides a higher degree of scratch and shatter-resistance than the current models' Gorilla Glass. (The higher-end iPhone 7 pros lie in having the sapphire crystals.) . The new iPhone 6S and iPhone 6S Plus get significant enhancements in camera technology: 12 megapixel iSight camera rather than the 8-megapixel sensors in previous iPhones and a 5-megapixel FaceTime HD camera with Retina Flash. Some predictions claim that Apple will increase the rear camera's pixel count from 8 to 12 megapixels. Besides, 3840 x 2160 4K recording is supported in iPhone 6S/6S Plus. iPhone 6S price: How much will the iPhone 6S cost? 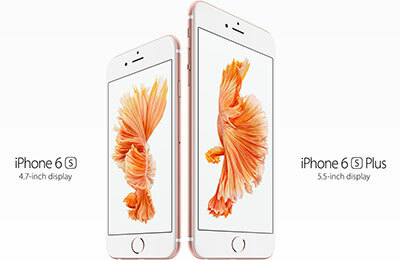 Both iPhone 6S and 6S PLus will be released on September 25th, and avilable for preorders on September 12th. On a two-year contract, the iPhone 6S starts at $199 for the 16GB model, and climbs up to $299 for 64GB and $399 for 128GB. The iPhone 6S Plus 16GB model starts at $299, and costs $399 for 64GB and $499 for 128GB. According to iPhone 6S review, we can see new iPhone is a solid, well-designed update to the iPhone 6 with key improvements in several very important areas, including new 3D Touch display, faster A9 processor, camera improvement and iOS 9 support. Users may do the choice regarding to detailed needs. 1 Here recommends you the MacX Video Converter Pro, designed with built-in YouTube downloader, allowing users to download any popular movies, videos, music, and so on from 300+ video sharing sites, including YouTube, Facebook, Dailymotion, etc and then convert the online videos to iPhone 7/6S/6S Plus/6 Plus/5S and previous generations with no effort at all. 2Then you can make full use of MacX MediaTrans to transfer videos/movies from Mac to iPhone, no matter the SD/HD videos like MP4, MOV iPhone 6S supported formats or other format videos like FLV, AVI ,WMV, MKV, MTS, M2TS, AVCHD etc. The built auto video conversion makes it possible to import videos from Mac to iPhone 7/6S/SE/6 Plus in super fast speed without any quality loss.